One Saturday afternoon, two-year-old Beagle Lucy arrived at the Animal Emergency Service – Underwood. Prior to presentation, she had been a relatively healthy dog, with only an issue of a heart murmur that had not yet required medical intervention. Lucy’s owners had come home to discover a guilty looking pup with a chewed up Ventolin (albuterol) inhaler. Of course, being a Beagle, chewing things they shouldn’t is common! Lucy’s owners promptly sought treatment and ended up at the Underwood clinic. 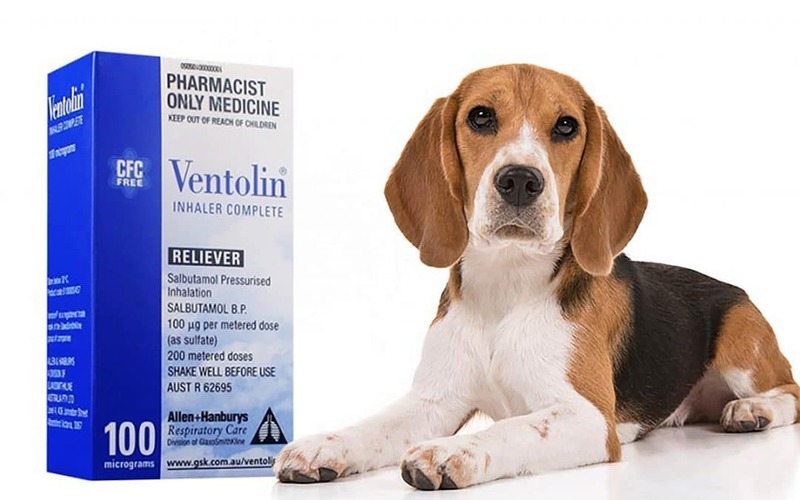 Ventolin (albuterol) is a medication often given to asthma patients (both human and animal) to help open up the airways in the lungs, and while safe usually, when overdosed the medication can cause a variety of complications. While it was difficult to determine the amount she had ingested, Lucy was already showing symptoms of albuterol toxicity. These include tachycardia (increased heart rate, tachypnea, tremoring, electrolyte imbalances and hypotension. Lucy was quickly admitted to the ICU where she was connected to a continuous ECG to monitor for any cardiac arrhythmias, and given supportive therapy while her body tried to cope with the effects of the overdose. Supportive therapy fluids, and two constant rate infusions, one of which was esmolol, a medication to help with her blood pressure and cardiac arrhythmias, plus potassium chloride, to help with her hypokalaemia. Throughout her hospital stay, Lucy was monitored closely. She underwent a number of blood tests to monitor her electrolytes and gradually as the albuterol slowly left her body, she showed steady improvements. Eventually, over a couple of days, the tremors slowed and ceased, her heart rate and respiration normalised, and her blood pressure remained stable. She became bright and alert, wanting to go on walks outside and trying to befriend the other patients in the hospital. She was gradually weaned off her medications and once she began eating and drinking appropriately, her fluid therapy was turned off. Lucy returned home to a very relieved family. It is important to note, that while Lucy was lucky, this medication can cause fatal consequences for our animal family members so keep stored out of reach, and if ingestion is suspected, please seek veterinary attention immediately.